Thomas Merton, the namesake of the Thomas Merton Center, located in Pittsburgh, PA was both a prophet and an architect of peace and justice who wrote extensively about the power of forgiveness. When Nelson Mandela walked out of his Robben Island prison cell 27 years ago, he embodied the power of Merton’s writings on forgiveness. For it was through sacrificing his own freedom that he created a path to peace for all of South Africa. In Mandela’s 1995 autobiography, The Long Walk to Freedom, he spoke to the great need to prepare for the hope of peace. In our own local campaigns and struggles for peace and justice, we grapple with some of the same powerful emotions that Mandela confronted in his prison cell on Robbin Island. We can choose to drink the poison of hate, or we can look deeper into our souls and cultivate the power to forgive and love. • UPMC/Duquesne University administrators from concentrating wealth in the hands of a few and not support the thousands of people that work in their institutions. 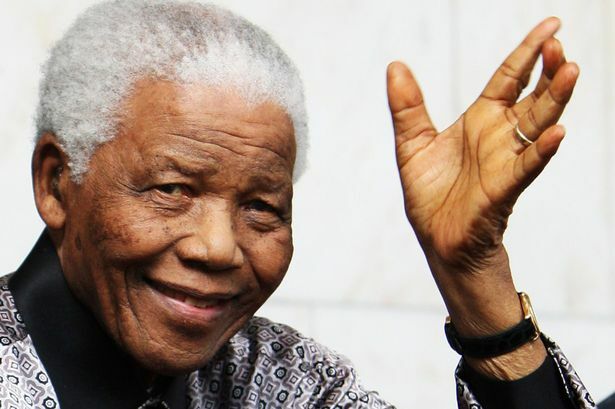 Mandela and Merton show us that if we are to achieve peace and justice in our lifetimes, it will require more than an unrelenting determination to surface everyday inequality and oppression, it will require an inner and more personal struggle to choose love and forgiveness over hate and resentment. If we are to struggle for justice, let us choose to do it in the spirit of love and forgiveness, as Nelson Mandela and Thomas Merton taught us. Let us thirst for a long-lasting peace, where no one is a stranger, and all are “shining like the sun.” Where everyone is loved and no one carries the negative emotions of retribution and revenge. for peace through love, hope, and the power of forgiveness. Reblogged this on Ending Inequality.